How did Islamic civilization preserve and extend ancient Greek, Persian, and Indian learning? 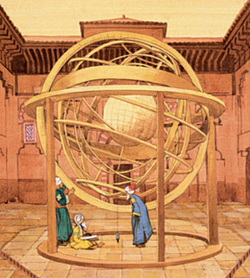 ​What were some contributions of Islamic civilization? "Tusi Motion" - Modern depiction of the "Tusi Couple"